The authentic and Tastiest foods at their lips smacking best……. Mansuk’s sweets & snacks has a authentic, Delicious and Tradition, more than 65 years of glory that only few restaurant can boast of. Mansuk’s sweets & snacks has enjoyed the patronage of 3 generation of loyal patrons, who swear by the delightful flavours and rich aromas of authentic Gujarati / Rajasthani cuisine, created from a best ingredients . Mansuk’s sweets & snacks, T.Nagar is famous for its North/south indian Sweets, Guju, Savouries, Bombay chaats, Dabeli,khaman Dhokla , khandavi and also serve unique varieties of stuffed parothas including the value combos palates of 2 nos. Of Fulka Chapati with Aloo Subji, 2 nos. Fulka Naan with paneer butter masala, 2 nos. Ghee parotha with chana masala,varieties of pulav rice with Guju.Kadhi and many more….. The melange of cuisine is designed to appeal all palates. Mansuk’s sweets & snacks, T. Nagar have a exclusive dining hall on the first floor for just Gujarati / Rajasthani lunch & dinner customers. In the 1947, the late Harilal Sukhadia founded Mansukhlal Mithaiwala establishment in the Sowcarpet area, chennai. 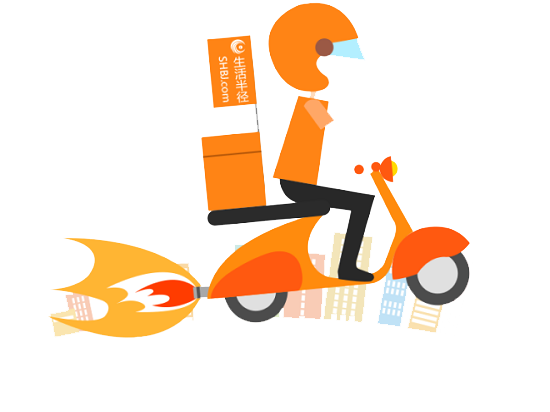 Since, then our name become the word of mouth and we were latterly propel to expand our outlets. After 65 years, Mansuk’s sweets & snacks at sowcarpet, T. Nagar, pursawalkam are growing like a healthy banyan tree and showering with full fledge manpower to assure each and every cuisine prepared is delivered hygienically and health to customers. 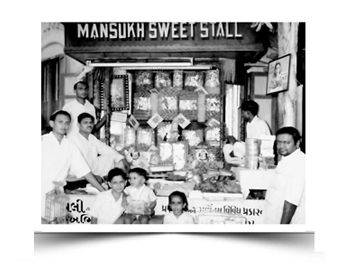 Mansuk’s sweets & snacks, T. Nagar was born in 1988. 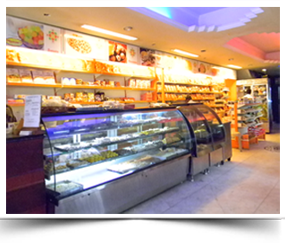 Since 25 years in T. Nagar mansuk’s sweets & snacks has grown immensely in popularity……. A favourite haunt among people of all ages, from college going teens to families, the elderly and coporate executives. Operating from a small lane in T. Nagar market, Usman road. There are some delights waiting for you on this small lane. From the soft airy spongy Dhokla to the famed gujarati kadhi to Fluffy Fulka chapatis, one is sure to savour every bites of sumptuous spread at Mansuk’s sweets & snacks, 10, Ramasamy street, T. Nagar.